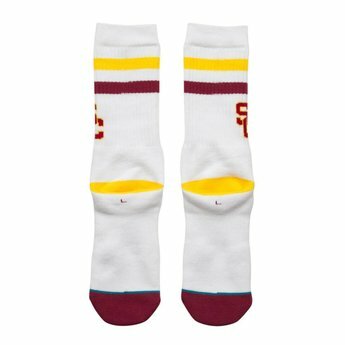 There's no better way to show your school spirit than with these comfortable, reinforced heel-and-toe, supportive stripe socks complete with the Trojans’ logo. Fight On! 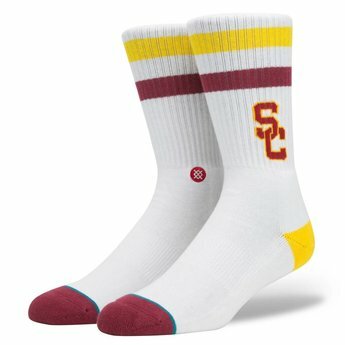 The glitz and glamour of the city of Los Angeles is matched only by the storied success of the athletics program at USC, where the cardinal and gold are a powerhouse with legions of fans. 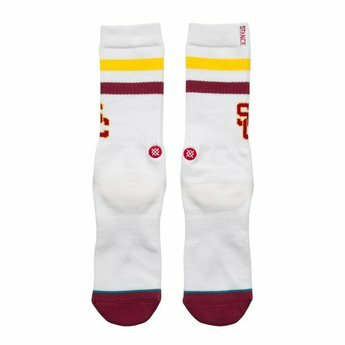 There's no better way to show your school spirit than with these comfortable, reinforced heel-and-toe, supportive stripe socks complete with the Trojans’ logo. Fight On!